The things you learn when you have to put a book together. Chains of the Sciell is coming out May 26. To start all the heavy pre-publishing buzz and make it available for preorder, I'd like the book to be done by March. 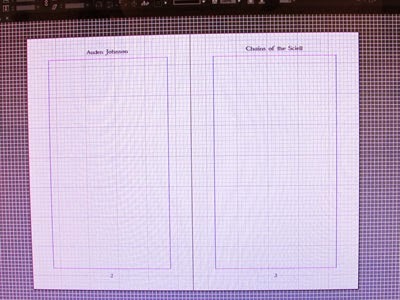 This'll be the second time I'm putting together a print book in InDesign. I've laid out a number of ebooks. 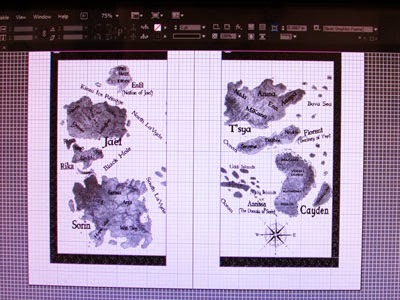 When creating The Sciell (Book 1), I was teaching myself InDesign while teaching myself how to put a book together. For those who use any Adobe product, you know how frustrating it can be to just go in there and try to figure things out. I got so annoyed. In the end, I went to AbodeTV and watched basic tutorials on InDesign. To learn about print book layout, I picked a few titles off my shelf that are the size I want and examined them--closely. 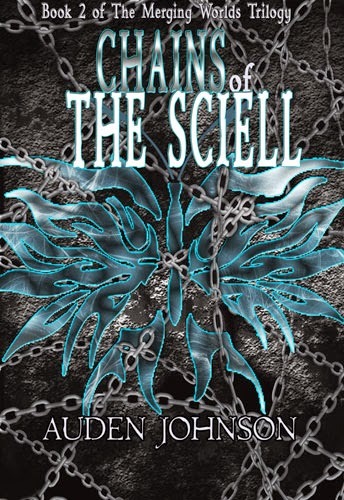 The Sciell is trade paperback 8.5 x 5.5. Chains of the Sciell will be the same. Most books have cream colored pages. The only books I own that have white pages are textbooks. Print books always start page 1 on the right side. New chapters start on the right side. They're rarely on the back of the previous page. 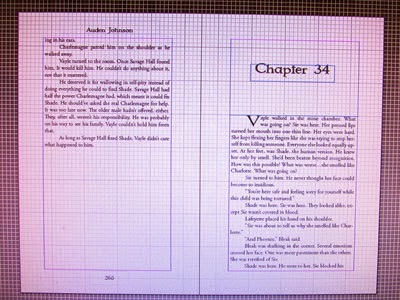 In most books, the chapter pages aren't numbered. Getting the margins right will make you want to cry or throw something. You don't pay attention to details like this when you're reading, but nearly every book is laid out the same way. I want my books to look professional. I did some Googleing and discovered the font of choice for print books is Garamond. If you're an indie/hybrid author, you need to follow The Book Designer. It's so helpful. 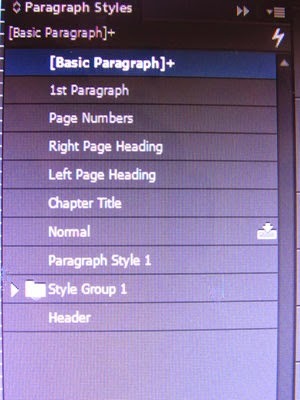 I set up Paragraph Styles for headers, chapter paragraphs, chapter titles... Fortunately, InDesign saved them all. If you're laying out a book, create Paragraph Styles. It saves so much time. Fortunately, I kept the InDesign document for The Sciell. I simply renamed it. Most of the front matter is the same. The title, copyright and dedication pages needed some tweaking. This map was a pain. It's too big to put on one page, so I wanted to put it on two. Splitting it down the middle turned out to be harder than I thought. I like how it turned out, though. 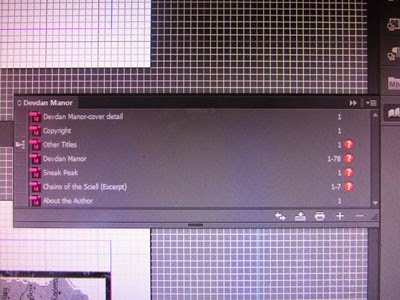 I love how InDesign lets you create a Master Page for headers and page numbers. It's fairly easy to edit them inside the document. You don't want page 1 to start on the Copyright page. Now, I need to add the story, edit the chapter titles and add a sneak peak into Book 3. To make things easier, I'll be creating the ebook at the same time. For the ebook, each chapter needs to be a separate document or else there won't be any page breaks when the document is converted. 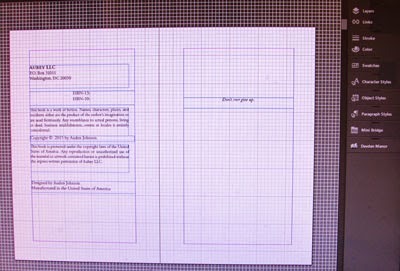 In InDesign, an ebook is a bunch of documents collected into one Book. I'm sure there's a way to have everything in one document and have it look right when you covert it. I haven't figured that out. This way works for me. It makes creating new ebooks easier. The Copyright, Other Titles, and About the Author pages stay the same, mostly. It would be a pain to redo them for every book.